If you don’t use this option, the desktop does have OpenGL support, but it uses a very slow software renderer, which makes all but the most basic OpenGL applications pretty much unusable. The hardware-accelerated version is much faster, and makes some quite decent OpenGL games playable on the Pi. 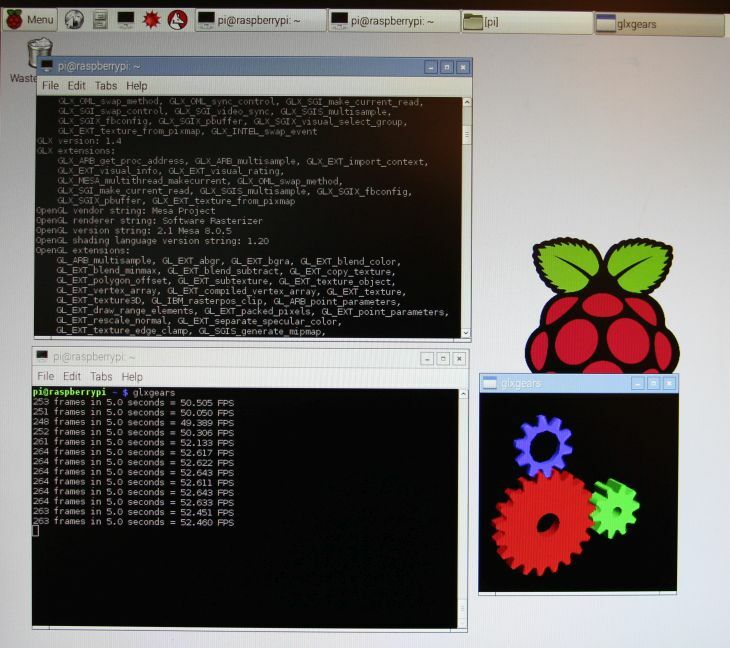 The OpenGL version supported by the new Raspbian Jessie is OpenGL 2.1.